See produce prices for areas with Aldi produce prices starting Sunday June 26th here. Today is the start of new produce prices at many Aldi stores around the country including the below mentioned areas. Some areas are having a great price on watermelon this week, and I sure hope we will get that in South Florida as well. My family loves the watermelons from Aldi, and we usually get one every week. One of my oldest son's new favorites is my cherry tomato chicken stew. With an abundance of homegrown cherry tomatoes, this is one of the recipes that to be in an attempt to find great tasting frugal uses for the cherry tomatoes from our small city garden. 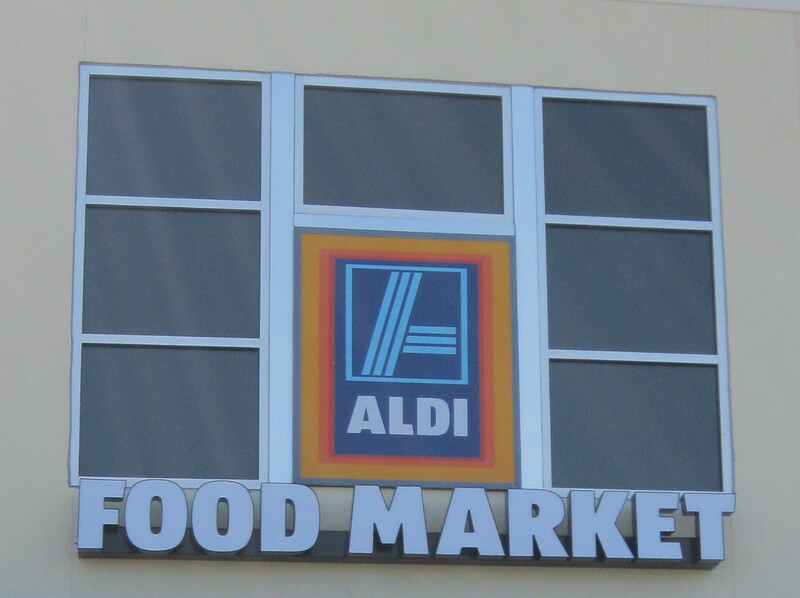 See produce prices for areas with Aldi produce prices starting Sunday June 19th here. Happy Father's Day to all the Aldi Lovers! I am posting late today, as we celebrated father's day with an early morning beach trip. I do not see anything that I really NEED to have this week, but I am hoping for some great Aldi produce prices. Aldi's milk prices are some of the lowest in the country, but even Aldi are having price increases. When Aldi first came to South Florida, we paid $1.89 for milk, now we are paying $2.19 for a gallon of milk. It is still a lot lower than the local competitors though, and our local Publix stores now have 1 gallon of milk for $3.89. How much do you pay for a gallon of milk at Aldi? I would like to thank all of you for helping me out creating this Aldi milk price list. I realize that the prices changes often, but I think it is great to see how the Aldi milk prices varies across the country. You can either leave a comment below, leave a comment on facebook or send me an email at smartmomj @ gmail . com. I am not a fan of anything cherry flavored, and please keep all the fake cherry flavored sodas, cherry ice cream, cherry candy etc. far away from me. However, I do love fresh cherries, and the best cherries are of course those just picked from the cherry tree. In South Florida I have no cherry trees, but fortunately Aldi had some great tasting cherries on sale last week. With the leftover cherries, I created a delicious and frugal Aldi recipe with Aldi ingredients. My boys and I have been enjoying the cherries, but on the fourth day, I still had about 1/3 a cup of cherries that had not been eaten, and they were looking a bit dull. I did not want them go to waste, and I wanted to combine them with our abundance of mangoes from the garden, so I tried to come up with something delicious. This week's frugal recipe is therefore Cherry Mango Crepes with Vanilla Ice Cream, and I am very pleased with the result. 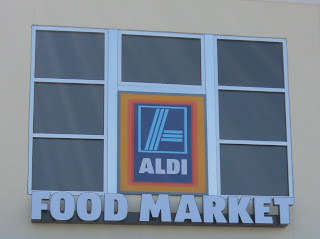 See produce prices for areas with Aldi produce prices starting Sunday June 12th here. The below Aldi produce prices are good June 12 - June 18, 2011. The schools are out in South Florida, and Aldi is counting down to the 4th of July. 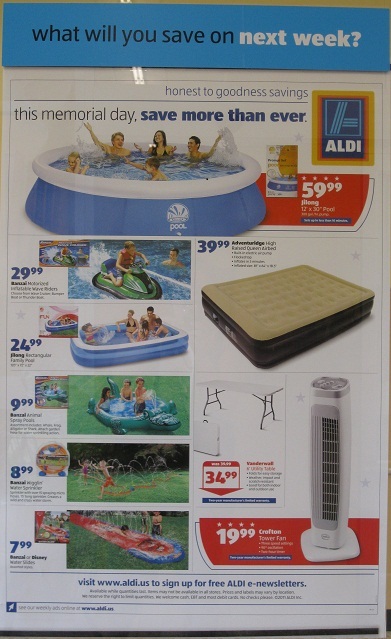 If you are looking for some backyard fun for the kids this summer, Aldi definitely has some great products to choose between. My kids are thrilled....two more days left of school. Tomorrow is their last day, and they surely cannot wait. I am counting on Aldi to get me through the summer with some fabulous fruit prices, as my eight year old can go through our fruit bowl in a two days. I am excited to see that I got the grapes right, and was close on all the other fruits. Aldi just made the deals even better, and our watermelon price in South Florida is definitely the best price I have seen. I think I might pick up two. We have been eating Aldi's watermelon for the past two month or so, and we have not been disappointed even once. I always let the watermelon sit 3 - 7 days on the counter before I start cutting, because this means that we get the sweetest, best tasting watermelon possible. When my dad was here, he even declared that we had much better tasting watermelons than in Europe. I start out cutting half of it up into small squares, and put it in the freezer. This way it is easy for everyone to grab some whenever they are hungry. Less trouble for them means that the watermelon is gone in no time. We also like to take the cut watermelon with us, when we go to the park, my son loves to bring it to school, and my husband likes to bring the cut watermelon with him, when he is working. The above are only my predictions, please do not hold it against me, if I am wrong. I will post the actual South Florida produce prices on Wednesday. The below Aldi produce prices are good June 5 - June 11, 2011. The Aldi ice cream price cuts continues, and I am excited. My kids are loving their Aldi ice cream cones, and even the daily ice cream truck drives cannot shake them any more, because they know that they can get much better ice cream cones at home. This week there are only a few non-household deals at Aldi. It seems to be breakfast time at Aldi, and they have lots of great breakfast buys including hazelnut spread (think Nutella).